The Spanish pensioner whose infamous “restoration” of a prized fresco left Christ resembling a “hairy monkey” is launching an art exhibition, it’s reported. Almost a year after making global headlines with her unauthorised attempt to restore the century-old Ecce Homo (Behold the Man), in the Sanctuary of Mercy Church near Zaragoza, Cecilia Gimenez has been speaking to reporters about the effect on her life. The 82-year-old says she tried to restore the fresco “with all the love in the world” and describes some of the internet mockery her efforts attracted as “hurtful”, according to the Radiotelevision Espanola website. Gimenez says she had to take to bed after suffering a panic attack as a result of the criticism. However, thanks to the support of residents of her town of Borja – and many others around the world – it seems Gimenez has fully recovered. And she’s about to show off 28 of her paintings at an exhibition starting on Tuesday. 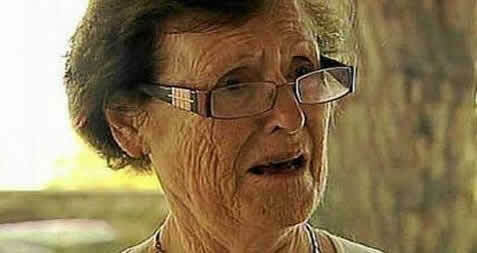 She even argues her botched restoration has been “good for Borja”, suggesting it put the town “on the map”. Thousands of people have visited in the last year and all who visited the church have left donations towards renovating the building, she says.